When I found this book on sale at a local bookstore, I grabbed it to add to this challenges reading pile, especially as a contrast to the Godmother books written by Elizabeth Scarborough. Both women have found unique ways of dealing with traditional fairy tale themes in a humourous and most UNtraditional way. Unlike the last review, this novel actually IS a Harlequin novel since the company owns the Luna Books Division that publishes these fantasy novels… but they are a far cry for the standard format that fills so many bookstore and library shelves. The Sleeping Beauty falls into the series known as “A Tale of the Five Hundred Kingdoms” which began with the The Fairy Godmother in 2004. The theory behind the series is an interesting one. There are 500 kingdoms where Tradition has become a mindless and powerful force that seeks to push characters into the legendary fairy tale roles. The only defense against utter and total chaos are the Godmothers. Women who know how to coax the Tradition into certain outcomes through magic, wit or sheer dumb luck. The Sleeping Beauty deals with a wonderfully funny mix of all the sleeping maiden legends from Snow White and Sleeping Beauty to the more obscure Valkyrie Fire Maiden stories. Rosamund is a princess whose life has fallen apart at 16 thanks to the Tradition killing off her mother. After a Huntsman chases Rosa into the woods and tries to kill her, The Fairy Godmother of her Kingdom, who has long befriended the family, tries to bend Tradition to her will by disguising herself as someone else and assuming the role of the Evil Stepmother. After taking the princess into her confidence and revealing the ruse, they decide that the best solution might be to stage a “Sleeping Beauty” event . The only problem is that TWO handsome men show up in the clearing at the same time. With the sudden death of the King on the borders, invasion or conquer seems imminent. How can a young woman and a desperate Fairy Godmother keep their enemies at bay and still satisfy the Tradition’s longing to create a very Happy or Unhappy ending? Mercedes Lackey knows how to create great characters and this was one of her funniest adventures yet. Though the subtle and not so subtle humour may not come as naturally to her as writers like Tanya Huff, she does a wonderful and entertaining job of constantly turning the Fairy Tales we all know and love upside down, sideways and inside out. I found myself laughing out loud so many times during this story that I may have to go back and reread some of the earlier books in the series. Since each one stands alone, I can just pick and choose which Fairy Tale I’d like to see her mangle… and I can’t wait to hunt down the newest one in this series Beauty and the Werewolf! I forgot a book I was in the middle of reading during one of my recent Writers In The Schools Visits. I checked into the hotel and discovered this oversight before I headed off to supper with a friend. Since I needed to pick up a few other items, I stopped at the nearby Walmart to check out the magazine section. Compulsive readers can sometimes survive a reading craving that way. Selection being what it was mid-month, I wandered over the the book section for something small and quick. I thought I might make it through this whole year without a Harlequin fix. 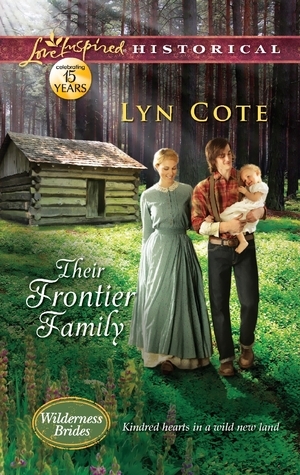 Though this is not a book by that ever so famous publisher, Their Frontier Family does fit into the standard format, appearance and formula… except that it was both Historical and Religious! I picked it up on a whim since I am still a bit of a Little House on the Prairie girl at heart. Since sleep is sometimes hard to come by for me in any hotel, I decided to see if the story would hold my attention. 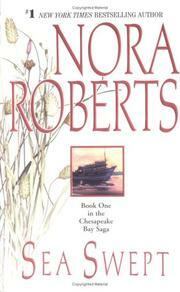 Just after midnight, I had inhaled the book and was tired enough to sleep well until the morning. Their Frontier Family deals with an unwed mother and former Saloon Girl who was taken in by a small Quaker community. Sunny still feels as if many of the members blame her for the life she was born into and dreams of better for herself and her small daughter. Noah Whitmore earned the wrath of his Quaker father when he chose to go off and fight in the Civil War. Now he wants to start a new life in Wisconsin and offer Sunny a fresh start if she goes with him as his wife. He proposes to the lonely woman even though he believes that the war destroyed his ability to love or feel joy again. The story deals with how these two lonely souls find their way back to love with each other and forgiveness through God in a way that was tender and unique without being as pushy as some of the more fundamentalist Christian romance novels I have read in my life. The plot felt a bit constrained by the length and format allowed in this type of story, but it was an enjoyable read that made a hotel stay bearable and added one more book to my challenge. 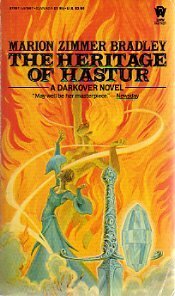 When it was first published in 1975, The Heritage of Hastur was proclaimed to be Marion Zimmer Bradley’s best novel thus far, the longest and most intricate of her saga… destined to become her masterpiece. Thanks to a wonderful friend in Toronto, who loaned me a copy from her personal Darkover collection, I have at last been able to read this detailed and sweeping part of the planet’s history for myself. Much of what has always been alluded to in other novels now makes sense and I have a deeper appreciation of the nuances of several characters than ever before. The Heritage of Hastur is partly about how Lew Alton comes to be trapped in the web of the Sharra Matrix, which has repercussions for he and his family from then on, and party about the coming of age of Regis Hastur. This is the novel in which the famous and beloved character grows from young man to leader, giving up some of his dreams for the sake of his planet. I cannot believe it has taken me so long to read this key piece of Bradley’s Darkover legacy, but it was well worth the wait. Now I just have to try to track down a copy for my own library eventually. Thank You, Christine!